"Although we had worked at establishing a cost effective transportation program, JVP Logistics was able to substantially reduce our freight cost." "JVP Logistics is the chosen logistics company for I.B.P.I., a business products association with over $1.2 billion of buying power. I highly recommend JVP Logistics. They have substantially reduced freight costs and increased carrier performance." JVP Logistics is a progressive third party logistics company, founded on the increasing need for experienced transportation/logistics management services. 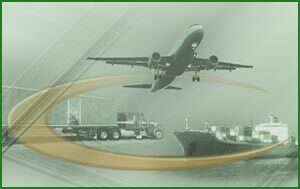 JVP Logistics has over twenty years of experience in this highly specialized discipline. Through Total Transportation Management (TTM) we are able to evaluate the specific needs of your company and provide the best solutions to meet those needs. "It is our goal at JVP Logistics to form a partnership that allows us to be an extension of your company, to act in the best interest of your company, and to keep the growth and prosperity of your company in mind." Because the intent of out sourcing your logistics needs is to improve service and reduce costs, many of the services offered through JVP Logistics are performance-compensation based. This reduces your out-of-pocket expenses and assures you of the service expected.